We all know that 20-somethings played a huge roll in “rocking the vote” in the 2008 election. However, a recent guest on ABC’s The View said that younger voters to whom she’d spoken were disillusioned with President Obama. 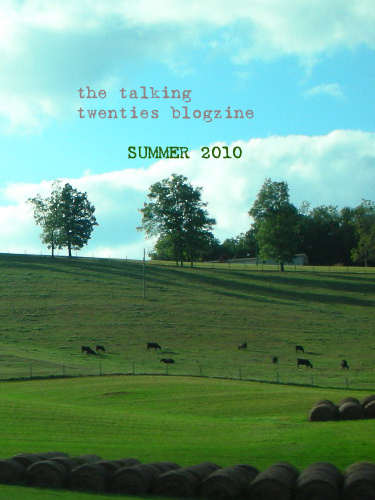 Now, The Talking Twenties is testing this out with a new one-question poll that asks the opinions of people under 20, people in their 20’s and people 30 on up. Americans and non-Americans are welcome to chime in. We’re working on the honor system, so please vote in your appropriate age group. For people in their 20’s: what’s your opinion of President Obama, and how has it changed? For people under 20: What’s your opinion of President Obama, and how has it changed? For people 30 on up: what’s your opinion of President Obama, and how has it changed? Hmm.. This is a tough poll to take. Maybe if you changed ‘approve’ and ‘disapprove’ to ‘enchanted by’ and ‘disillusioned by’ then I could say I was disillusioned then and I’m disillusioned now but I was hopeful when he was elected? No, that doesn’t quite cover it either… what about, psyked to see the public attitude express its change in his election, excited that he is super intelligent and has a good sense of humor, but in the end doubtful that he will do anything to really change the situation… yet still disappointed that he didn’t do half the stuff he said he would. I was on the fence about him before the election and I still am. The only thing I think he’s accomplished so far is more celebrity like appearances photo ops than any of his predecesors. Same goes for his family. He appears to be all smoke and mirrors and no substance at this point. That’s a nuanced question with a nuanced answer. Ohio Congressman Dennis Kucinich (http://kucinich.house.gov/) was my original candidate of choice, but upon realization that America needs to take baby steps to progressivism and real change, Obama became my vote. My expectations of his presidential accomplishments were only moderate from the start and remain moderate. However, I do support him heavily as having him as president is a milestone for the country. The burden of changes that need to be done do not rest solely on his shoulders, but is equally distributed on ours. I approve of Obama, but I do not approve the American people who ultimately brings real change into a screeching halt. On the other hand, I feel that Obama is trying to be too diplomatic by softening his agenda and he should grow a pair.